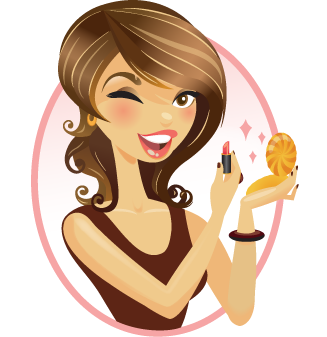 We hadn’t heard of sea buckthorn until we came across the Sibu Beauty brand. Apparently sea buckthorn is an ancient berry that has been used for more than 28 centuries to treat damaged skin, heal wounds, and provide nutrition. Found in the Himalayas, sea buckthorn contains many of the ingredients that you would look for in a skin treatment – Vitamins A, C, E, K, minerals, carotenoids, flavonoids, antioxidants, and omega fatty acids. 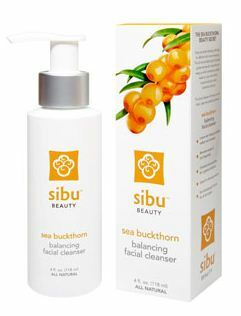 We tried Sibu Beauty’s Sea Buckthorn Balancing Facial Cleanser, which contains micro-particles for gentle exfoliation and contains 100% natural ingredients. We really liked the exfoliating beads in this cleanser; they’re gentle enough that you can use the cleanser every day. Since this is a gel cleanser, this may not be for you if you have extremely dry skin. However, we think it’s the perfect cleanser for normal to very oily skin. It’s especially unique because it’s anti-bacterial without having harsh chemicals. So if you have acne and very sensitive skin Sea Buckthorn Balancing Facial Cleanser will give you the oil and bacteria removal you need without the irritation. We really loved how this cleanser is clean-rinsing and removes makeup nicely without leaving a trace of residue behind. I have not heard of Sea Buckthorn either. I think I will recommend this to my mom who has oily skin. 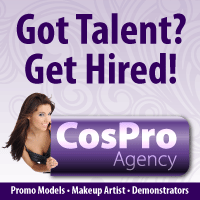 I have heard quite a bit about this ingredient and these products, but they tend to be pricey. I’d want to test a sample in order to purchase.